Personalised Wedding Presents & How To Order Yours! This week we've had lots of lovely new orders for our bespoke typographic artwork (and for a few of our limited designs too!). I love to share our special creations as they always offer design inspriation...so wanted to take a moment to share a couple of recent framed prints that I have created as wedding presents for Brides and Grooms. As always, all words, fonts, colours and print mediums were chosen and submitted by the customers online at http://www.morethanwords.uk.com/. We are very proud that More Than Words offers a totally unique service in terms of its customised online ordering process. All design details can be entered via our website. Rather than having to wait patiently for us to contact you after placing your order, our cherished customers know exactly what they are buying before parting with payment. So how does the 'bespoke' process work? First of all, select your desired layout (landscape, portrait or square), size and panel type (vintage framed canvas, gallery-wrapped canvas, diamond-polished acrylic or a redwood pine framed print). Once you have entered your words you can then then have fun mixing your very own colours, using our 'Colour Picker'. Select one background colour and up to four word colours. When you are happy with your colours you can then select a font from our list (although if you have a favourite we're always more than happy to use this!). to complement your style. Finally, if you have any special requests then you can enter them too, otherwise leave the design process to us! You will receive a proof of your design via email within 5 working days and only once you are completely happy with this will it be printed onto the panel of your choice. Our printing process takes a maximum of 14 working days. "I loved the fact that I could be so involved in the design, even mixing my own colours. What a fantastic concept and a super-easy to use website! I'm so glad we found you. Such a personal service." C Hargreaves. We have a number of bespoke themes (memories, weddings, babies and children, poetry, quotes and lyrics, favourite things and destinations) that fit most typographic design requests but always LOVE to work on commissions. Please contact sales@morethanwords.uk.com with your design ideas. When a couple came to us recently and asked if we could commission an acrylic design to capture the scents that reminded them of their special moments together, we couldn't wait to get started. Scents, after all, are suggested by scientific research to be the strongest memory trigger of all. Whether it be the sharp smell of freshly mown grass reminding you of the sunny days you spent climbing trees as a child...or, like me, catching a whiff of the perfume or aftershave you wore on your wedding day and suddenly reliving those moments again (I keep mine only for special occasions and whenever I wear it memories of our special day come flooding back). This commissioned design was inspired by the couple's absolute favourite smells, using their chosen words to create two iconic bottles. The design was printed onto our 8mm diamond-polished acrylic, supplied with four aluminium spacers. We print onto heavyweight professional photograph paper, using archival inks, and then apply a heat seal to the rear. Produced to Fine Art standards. Another example of the broad range of totally unique typographic designs that More Than Words can offer. If you know More Than Words then you'll know that we're serious fans of quirky unpretentious typographic art. And we just love Ben Eine. Eine is the man behind the printing of some seriously iconic art over the last few years. His sought after screen printing and spray skills sit amongst the ranks of the elusive Banksy. Prime Minister David Cameron today, on his first trip to Washington DC as PM, offered US President Obama one of Eine's creations as an official gift in an 'Art Swap'. This 3ft x 2ft Twenty First Century City canvas is the design that David (well, we hear it was actually his wife, Samantha) chose to make his statement...how very cool indeed. You can find out more about how Eine opted to offer this design, here. Keep your eyes peeled for designs by Ben Eine (real name Ben Flynn). He has also taken his lettering to the streets of Paris, Stockholm, Hastings and Newcastle upon Tyne. In his commercial work he has produced numerous typographic styles, including 'shutter' and 'circus' fonts. In fact, it's very likely that you have come across his work already without even knowing it. His screenprints sell for as little as £100, but we're sure he can expect a considerable improvement in his income after this recent recognition. ...and from the customer..."My print has just arrived and I absolutely love it!!! Such a fabulously personal piece, made better by the excellent customer service you have provided. I shall be raving about you for ages!!" Introducing the first typographic artwork design in our Unlimited Collection - 'Thy Love'. The word 'LOVE' has been created using the entire script from Shakespeare's famous Romeo & Juliet - the oh so romantic "balcony scene" (Act II, Scene II), when the pair pledge their love for each other. This beautiful script is known to all, dating back to 1594. What better way to declare your love than by offering this personalised typographic 'LOVE' design to your other half, or as a unique wedding gift? The design can be personalised with up to six words, perhaps to commemorate a special occassion such as a wedding date. We are also able to alter the colours if you have something specific in mind. Once we receive your order we will contact you to discuss your requirements. Available as a framed print, on our signature vintage framed canvas (it looks amazing in our black ornate frame), on standard canvas or acrylic. For a larger image, click here (more images coming soon!). As of today you can spot an Unlimited Collection section on our website. Pride of place sits our new typographic design, 'Thy Love'...read all about it in the next post. We have so many new design ideas which have been waiting for their special place on our More Than Words site and now we have it! Each design will simply be unlimited in the number of prints produced. Keep your eyes peeled for new typographic designs which we will slowly launch (in between our influx of bespoke orders!) via our blog, Facebook page and of course Twitter (@MoreThanWordArt). Today I want to share some recent shots of our popular personalised 'Destination' blinds artwork with you. Each top quality hand-finished design is created using your memorable words (and they needn't even be places) and is available in custom sizes and ANY colours you wish - our most recent bespoke request was a rich royal blue. This customer loved the present that she ordered for her sister (above) so much that she came back the next day to order one for her own home. Nothing is a better compliment than a repeat customer! Our 'Destination' typographic designs are professionally created, ensuring each and every one of your words are carefully sized, spaced and aligned, offering the Fine Art quality and standards that we continually pride ourselves upon. The printed archival canvas is then hand-stretched around a sturdy 45mm deep sustainable redwood pine frame before being finished on the rear with artist backing tape. Larger sizes will have the additional support of a solid backboard and a split-board/gallery hanging system. All products are supplied with fixtures and fittings for you, ready to hang. Widely availble across the pond in Australia, More Than Words is pleased to be the first company to offer a take on these vintage inspired bus scrolls to customers in the UK at affordable prices at http://www.morethanwords.uk.com/. Lead time is no more than three weeks. "...fabulous customer service and quality of product - both I can tell you knocked my socks off." Still topping the list of bespoke typographic design requests this week is our 'Wedding Theme'. A totally unique keepsake for the Bride and Groom. Capturing special memories in words, from the time and location of the ceremony, the shiny new (and not to forget the maiden one too) surname, special ways of saying 'I Love You'...('Nuv Noo' has to be the cutest so far), to honeymoon destinations...and there is no limit on the number of words we can capture. Yesterday we delivered a gorgeous wooden framed print, created in contemporary colours and fonts chosen by the Bride-to-Be (who discovered us in Wedding Ideas magazine). ..ready to give to her Groom in a few weeks. I love how it says 'See you at the church'. Our hand-finished wooden frames are cut to order, so any size is available, however our standard sizes start from just £65 for a 300 x 300mm framed print. Product details and prices can be found here. Prints are produced using 225gsm satin professional paper with UV archival pigment inks. The print is then mounted with a bevelled, off-white textured mount and the chunky frame has a depth of 45mm. Available in dark brown, light brown or black ash. ..and not to forget our signature 'Vintage Framed Canvas'. We have had more fantastic feedback from happy customers. Here's one of our latest designs...in gorgeous vintage pink. Remember we also offer boxed Gift Certificates starting from £25, allowing the recipient to be involved in creating their own piece of typographic art. Do you see what we did with the title there? More Than Words has its first advert in a national magazine...and we don't do things by halves so have a nice little summer offer in Britain's top selling Ideal Home magazine (August 2010 issue. Out now!). We very much look forward to welcoming some lovely new customers. Our new piece is so special that we've limited it to only 250 prints. Available on canvas (including our statement vintage framed canvas), acrylic or as a framed print. Please visit http://www.morethanwords.uk.com/ for size and price details here. Starting from £75.00. We hope you like it! It complements our fancy china teapot perfectly. 'A Nice Cup of Tea'...composed using the words from George Orwell's essay in which he offers tips on how to make the perfect cuppa. And never forget, in the words of English dramatist Sir Arthur Pinero, 'While there's tea, there's hope'. Well, once again I have been so busy that this lovely little blog has had to wait patiently for an update but that just means that there's plenty to add to this 'catch-up' post. We had a great day at Brighton's BabyExpo last weekend. The hard work that Mr MTW put into building our little stand paid off and it looked great, showcasing our beautiful bespoke children's designs. We also took along some of our other themes (a bespoke Memories typographic design (for the prize draw!) , Custom Destinations Scroll and a personalised Union Jack) which were very well received. More Than Words has also been featured in a few lovely blogs recently, including PiddleyPix.com who recommend our typographic art as the perfect anniversary gift, and wedding blog I.Wed.Style which offers another recommendation our vintage framed bespoke wedding canvas. Our 'personalised Destinations wall art', available on canvas or as a framed print (in a range of sizes, colours and fonts), and based on vintage bus and tram scrolls, has been very popular over the last couple of weeks. Also sold via our stockists Lily and Lime, and recently featuring in a Not On the High Street email as their pick of the best travel-inspired designs. What special places would you choose to capture? I've had some amazing locations this week! We have also spent some time updating our website with recent customer feedback....make sure you check out our Testimonials page. 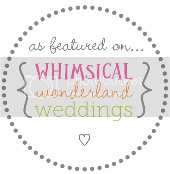 And finally, we have recently had our very own wedding featured in one of the UK's top wedding blogs, Love My Dress. Annabel also recently featured our vintage framed canvas. You can read all about our special day here. We were very excited to find that it was also #6 out of 100 top 'wedding tweets' on Twitter!